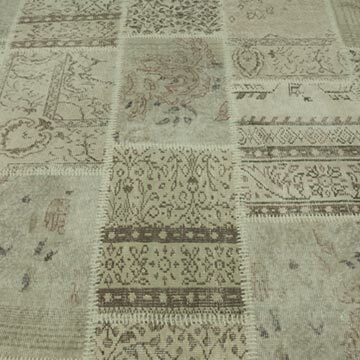 Our overdyed vintage patchwork rugs sew together cultures, traditions and history, creating beautifully unique rugs. We select vintage Turkish hand-knotted rugs woven in the 60's and 70's to create our collection of over-dyed patchwork rugs. We wash the colors, trim the piles, but care to keep the original patterns still alive. We then overdye them with a new color of choice, cut them into smaller pieces and hand sew the fragments together with a sturdy yarn. 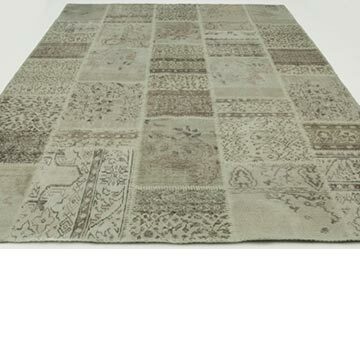 We back the patchwork rug with buckram and a cotton cloth that strengthens the rug. 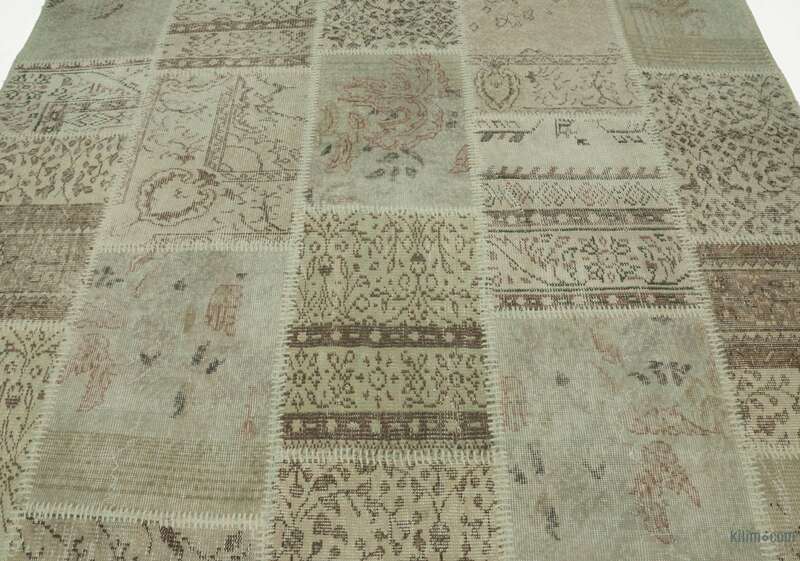 The rearrangement of the fragments transforms the ancient craft of rug making into unique artwork suited for contemporary settings at home or in offices. 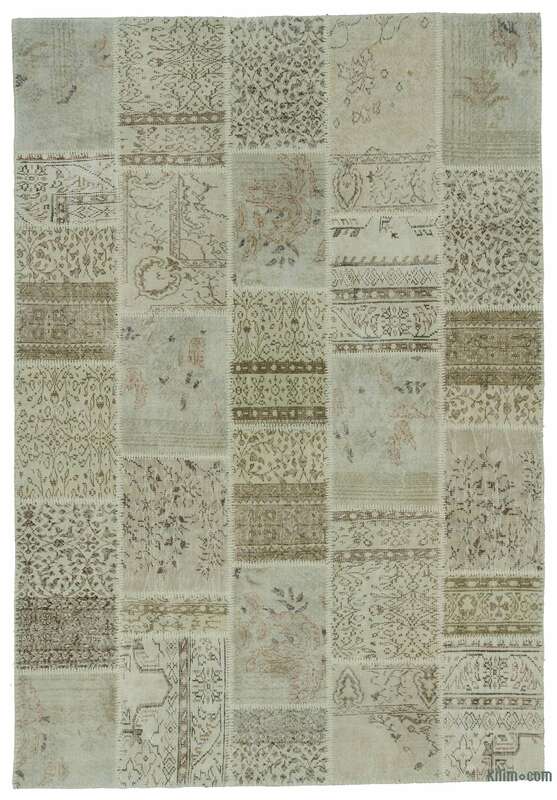 This particular beige patchwork rug measures 6'4'' x 9'3'' (76 in. x 111 in. ).